Connecting the now and next gen talent in the Cedar Rapids area to leadership, civic, charitable and social opportunities. 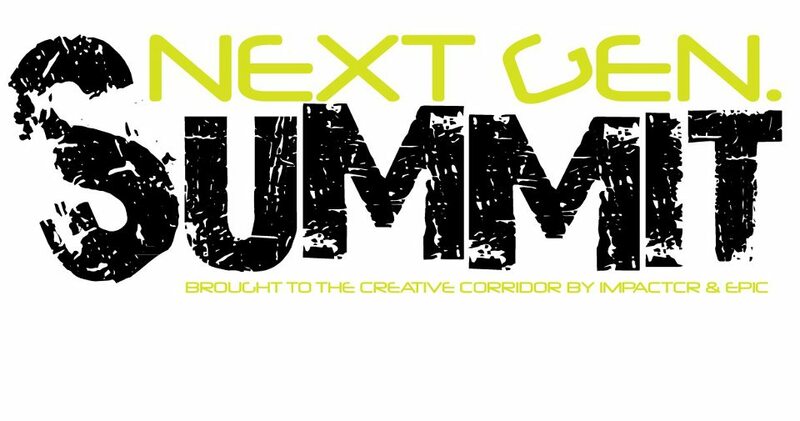 The Next Gen Summit is just around the corner, and I couldn’t be more excited. On Wednesday, October 1st hundreds of young professionals will be flocking the hallways of the newly renovated US Cellular Center, repping their Iowa Pride. This year’s lineup for keynote and breakout speakers is jam- packed with upbeat fresh faces, and some local favorites. With brand new breakout sessions, the addition of an interactive round table discussion between young professionals and executives, and an after party at Theatre Cedar Rapids, this is bound to be the best year yet. Many current initiatives are focusing on the engagement of college students and young professionals new to the workforce, in hopes that they will find the Corridor is a place to stay and grow their careers. The theme of “Iowa Pride” encompasses the same goal for the Next Gen. Summit. This year, I really look forward to the executive round table portion of the day, where attendees be sitting down in small groups and participating in a conversation with a local executive. The discussions will be focused on workforce retention and strengths and weaknesses of the Corridor area. I grew up in the Des Moines area, and came to Cedar Rapids three years ago for my husband’s job. At first, I wasn’t so sure about this place. It was hard to see myself staying here long term. I heard about the Next Gen. Summit, and on a whim I decided to go. It was exactly what I was looking for. I wanted to know opportunities for volunteering. They had a non-profit fair with tons of organizations to choose from. I was looking to join a board. They had a great breakout session on ways to broaden leadership skills, including joining a local board. I wanted some advice on starting my own business. They provided a great panel of entrepreneurs offering tons of advice on small businesses. The Next Gen. Summit was designed for someone like me, new to the area and looking to know why I should stay. Companies can also take advantage of this event by sending their employees and encouraging professional development. Executives in the past have found the Next Gen. Summit provided a lot of insight to the minds of their younger workforce. This event really goes beyond networking, and basic leadership training. It is a community wide opportunity for businesses, entrepreneurs, and corporations to take part in a unique professional experience. As a current co-chair for the Next Gen Summit, I get to know all the ins and outs of the day, which factors in a little bias. But who am I kidding? If I had nothing to do with the planning of this thing, I’d still make sure to have a front row seat. I joined the planning committee because I think it’s a terrific event, and I want to see it grow. If the Next Gen. Summit inspires more young professionals to make the Corridor their home for business and personal life, then we can definitely call this a success. I know I have my ticket reserved. See you there! Editor’s Note: This post is written by Next Gen Summit Co-chair and ImpactCR Board Member, Tallis Strub. The Next Gen. Summit 2014 is presented by Kaplan University, with supporting sponsors: UICCU, Van Meter, ACT, and Upper Iowa University. A full schedule of the event and registration information can be found here. Siren Wednesday | Lion Bridge Brewing Co.